Dixon Island, Barkley Sound, British Columbia, Canada. Colin Bates (colinba@interchange.ubc.ca). © Coastal Imageworks (colinba@interchange.ubc.ca). Second Beach, Barkley Sound, British Columbia, Canada. Colin Bates (colinba@interchange.ubc.ca). © Coastal Imageworks (colinba@interchange.ubc.ca). Brady's Beach, Barkley Sound, British Columbia, Canada. Colin Bates (colinba@interchange.ubc.ca). © Coastal Imageworks (colinba@interchange.ubc.ca). Bamfield, Vancouver Island, British Columbia, Canada. 24 Apr 2004. Michael Guiry. © Michael Guiry (mike.guiry@nuigalway.ie). Vancouver Aquarium; with fish. 04 Apr 2004. Michael Guiry. © Michael Guiry (mike.guiry@nuigalway.ie). Vancouver Aquarium. 04 Apr 2004. Michael Guiry. © Michael Guiry (mike.guiry@nuigalway.ie). Vancouver Aquarium; fronds. 04 Apr 2004. Michael Guiry. © Michael Guiry (mike.guiry@nuigalway.ie). Adjective (Latin), with entire leaves. 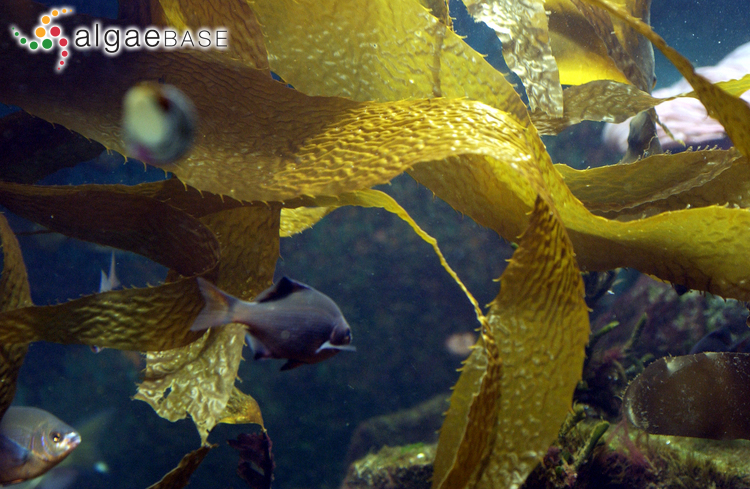 English: Small perennial kelp, Giant perennial kelp (McConnaughey 1985). Druehl, L.D., Collins, J.D., Lane, C.E. & Saunders, G.W. (2005). 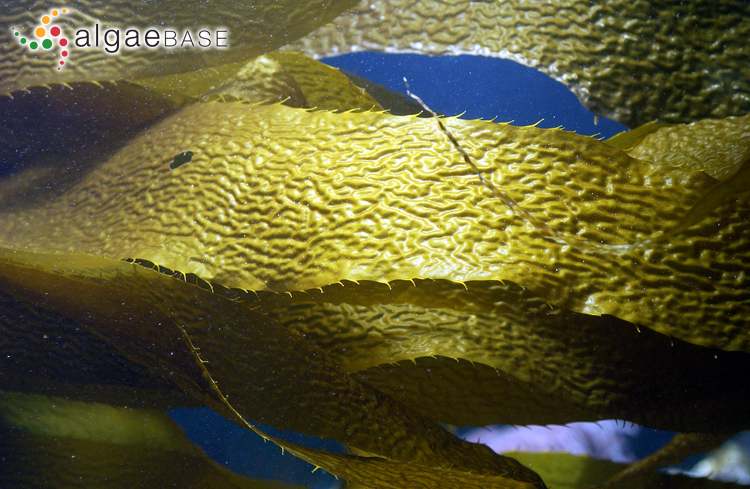 An evaluation of methods used to assess intergeneric hybridization in kelp using Pacific Laminariales (Phaeophyceae). Journal of Phycology 41: 250-262. Macaya, E.C., Boltaña, S., Hinojosa, I.A., Macchiavello, J.E., Valdivia, N.A., Vásquez, N.R., Buschmann, A.H., Vásquez, J.A., Vega, J.M.A. & Thiel, M. (2005). 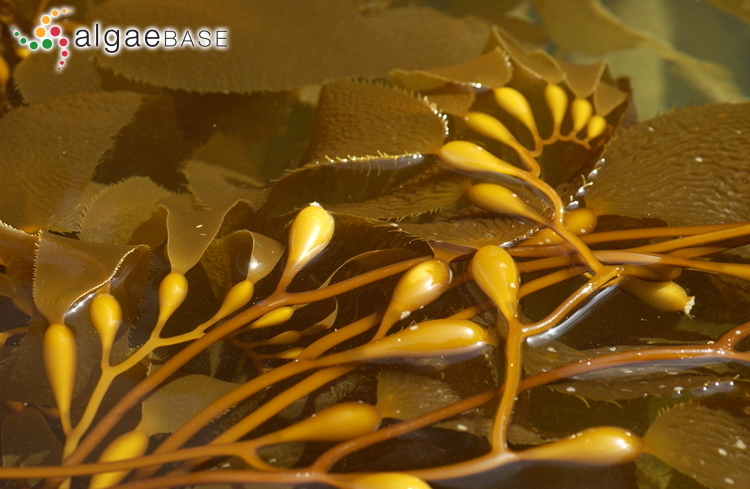 Presence of sporophylls in floating kelp rafts of Macrocystis spp. 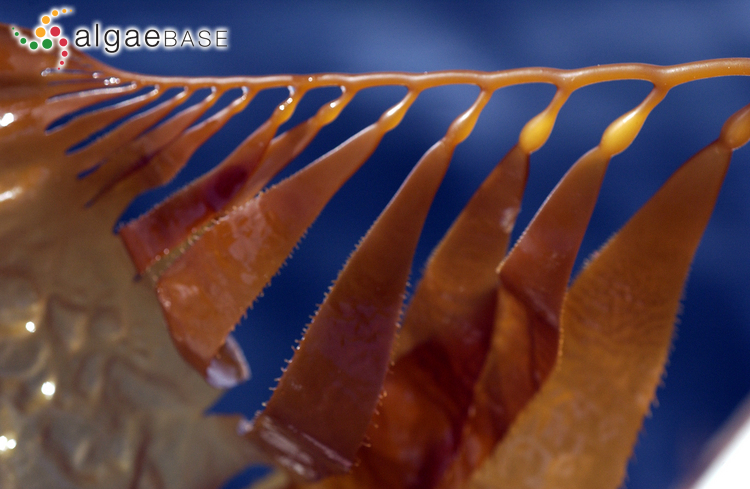 (Phaeophyceae) along the Chilean Pacific coast. Journal of Phycology 41: 913-922. Accesses: This record has been accessed by users 16450 times since it was created. Albright, L.J., Chocair, J., Masuda, K. & Valdés, M. (1980). 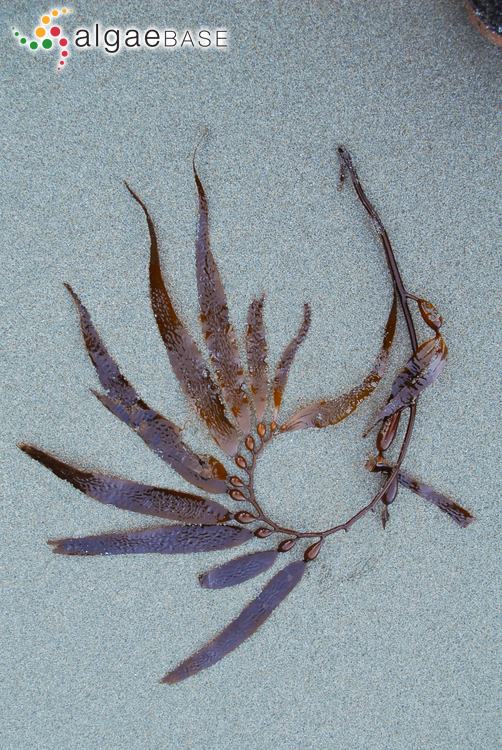 In situ degradation of the kelps Macrocystis integrifolia and Nereocystis luetkeana in British Columbia coastal waters. Nat. Canad. 107: 3-10. Cole, K. (1968). Gametophytic development and fertilization in Macrocystis integrifolia. Canadian Journal of Botany 46: 777-782. Druehl, L.D. & Breen, P.A. (1986). Some ecological effects of harvesting Macrocystis integrifolia. Botanica Marina 29: 97-103. Druehl, L.D. & Kemp, L. (1982). Morphological and growth responses of geographically isolated Macrocystis integrifolia populations when grown in a common environment. Canadian Journal of Botany 60: 1409-1413. Druehl, L.D. & Wheeler, W.N. (1986). Population biology of Macrocystis integrifolia from British Columbia, Canada. Marine Biology, Berlin 90: 173-179. Druehl, L.D. (1979). An enhancement scheme for Macrocystis integrifolia (Phaeophyceae). Proceedings of the International Seaweed Symposium 9: 79-84. Englar, J. R., Whyte, J. N. C. & Kung, M. (1979). Effects of drying on the alginate component of Nereocystis luetkeana and Macrocystis integrifolia (Phaeophyceae). Proceedings of the International Seaweed Symposium 9: 319-327. Fain, S. R. & Druehl, L. D. (1984). Isolation and characterization of the chloroplast DNA of Macrocystis integrifolia. 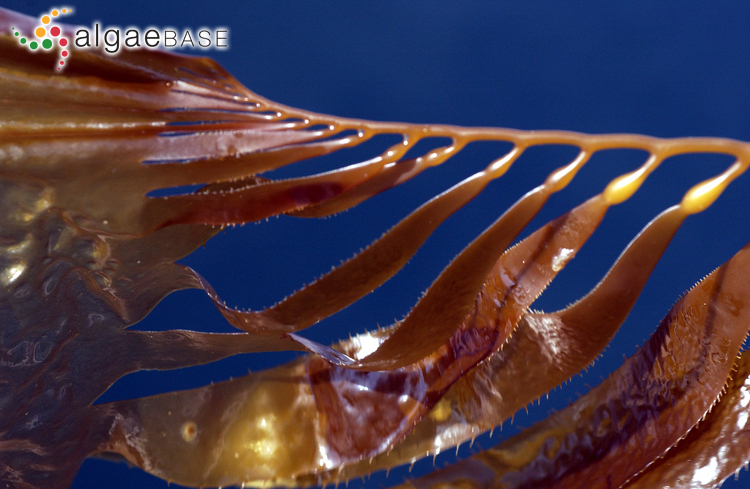 Proceedings of the International Seaweed Symposium 11: 603-605. Hurd, C.L., Durante, K.M. & Harrison, P.J. (2001 '2000'). Influence of bryozoan colonization on the physiology of the kelp Macrocystis integrifolia (Laminariales, Phaeophyta) from nitrogen-rich and -poor sites in Barkley Sound, British Columbia, Canada. Phycologia 39: 435-440. Lobban, C.S. (1978). Translocation of 14C in Macrocystis integrifolia (Phaeophyceae). Journal of Phycology 14: 178-182. Macaya, E. & Thiel, M. (2008). In situ tests on inducible defenses in Dictyota kunthii and Macrocystis integrifolia (Phaeophyceae) from the Chilean coast. 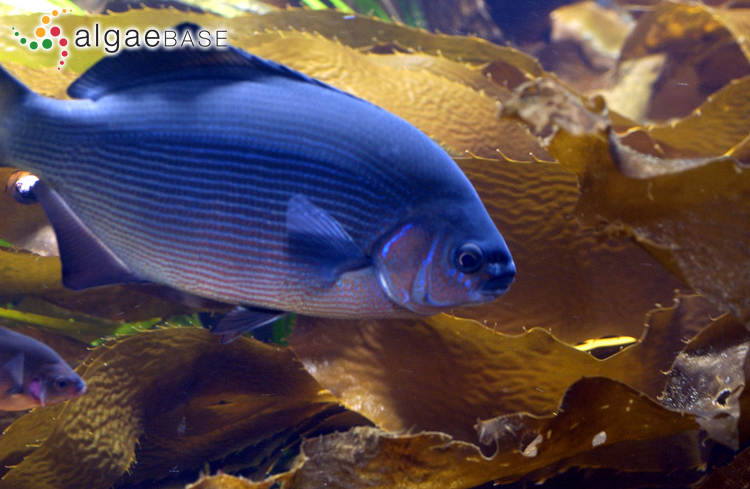 Journal of Experimental Marine Biology and Ecology 354: 28-38. Murúa, P., Müller, D.G., Patiño, D.J. & Westermeier, R. (2017). 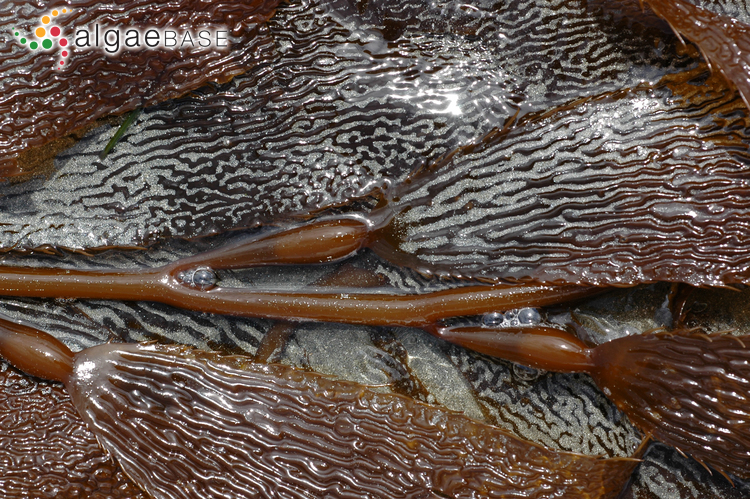 Giant kelp vegetative propagation: adventitious holdfast elements rejuvenate senescent individuals of the Macrocystis pyrifera "integrifolia" ecomorph (Note). Journal of Phycology 53(1): 230-234. Rosell, K.-G. & Srivastava, L.M. (1984). 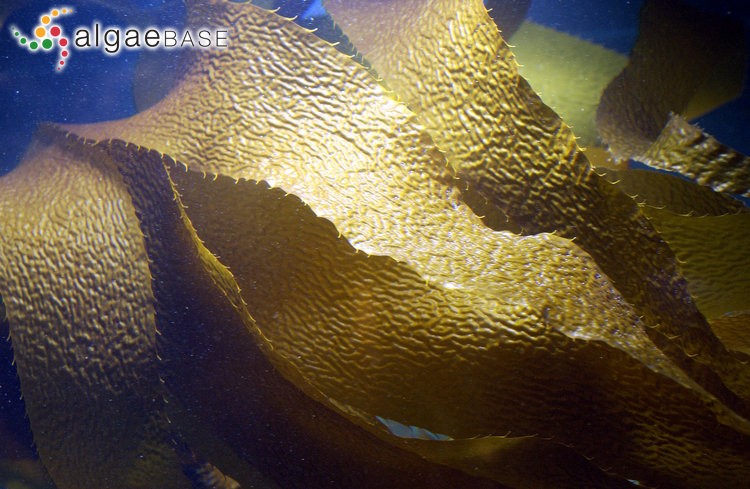 Seasonal variation in the chemical constituents of the brown algae Macrocystis integrifolia and Nereocystis luetkeana. Canadian Journal of Botany 62: 2229-2236. Rosell, K.-G. & Srivastava, L.M. (1985). Seasonal variations in total nitrogen, carbon and amino acids in Macrocystis integrifolia and Nereocystis luetkeana (Phaeophyta). Journal of Phycology 21: 304-309, 4 figs, 4 tables. Schmitz, K. & Srivastava, L.M. (1979). Long distance transport in Macrocystis integrifolia. I. Translocation of 14C-labeled assimilates. Plant Physiology 63: 995-1002. Schmitz, K. & Srivastava, L.M. (1979). Long distance transport in Macrocystis integrifolia. II. Tracer experiments with 14C and 32P. Plant Physiology 63: 1003-1009. Schmitz, K. & Srivastava, L.M. (1980). 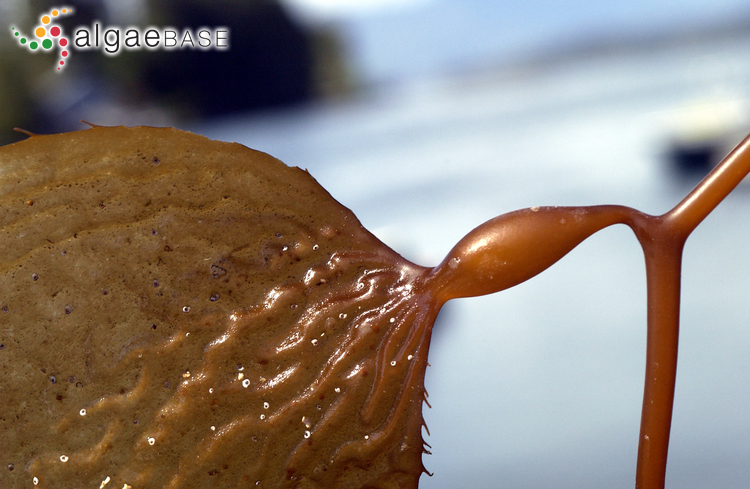 Long distance transport in Macrocystis integrifolia. III. Movement of THO. Plant Physiology 66: 66-69. Shih, M.L., Floc'h, J.-Y. & Srivastava, L.M. (1983). Localization of 14C-labelled assimilates in sieve elements of Macrocystis integrifolia by historadiography. Canadian Journal of Botany 61: 157-163. Smith, R.G., Wheeler, W.N. & Srivastava, L.M. (1983). Seasonal photosynthetic performance of Macrocystis integrifolia (Phaeophyceae). Journal of Phycology 19: 352-359. Stekoll, M. S. & Else, P. V. (1990). 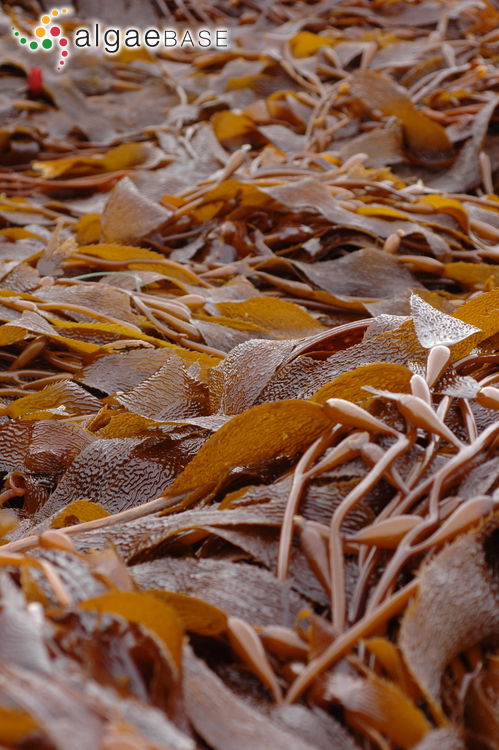 Cultivation of Macrocystis integrifolia (Laminariales, Phaeophyta) in southeastern Alaskan waters. Proceedings of the International Seaweed Symposium 13: 445-451. Stekoll, M.S. & Else, P.V. (1990). 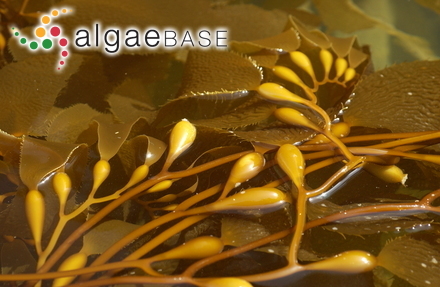 Cultivation of Macrocystis integrifolia (Laminariales, Phaeophyta) in southeastern Alaskan waters. Hydrobiologia 204/205: 445-451. Wheeler, W.N. & Druehl, L.D. (1986). Seasonal growth and productivity of Macrocystis integrifolia in British Columbia, Canada. Marine Biology, Berlin 90: 181-186.